Hundreds of joggers took part in a 10-km race in the world's biggest wine cellar on Sunday. The Milestii Mici cellar in Moldova holds over 2 million bottles of plonk. 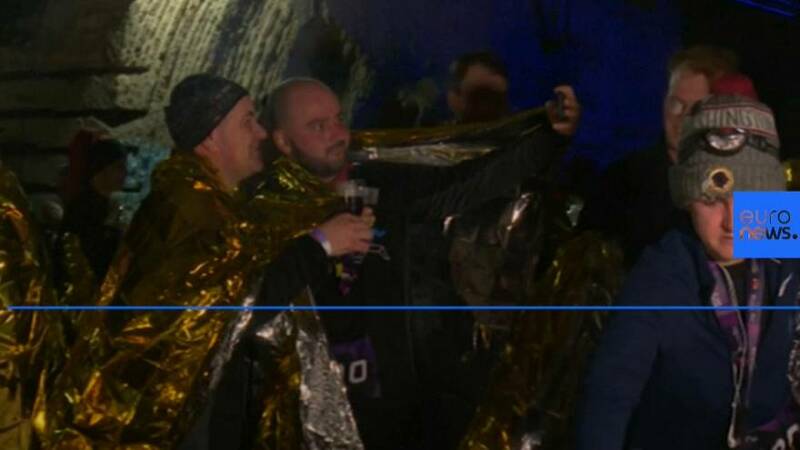 Those finishing the race through the limestone caves were treated to a glass for their efforts. Milestii Mici began storing wines in the 1960s during Soviet times and has counted actor Steven Seagal and former U.S. President Jimmy Carter among its visitors. The site has been quarried for limestone for hundreds of years. It has underground "streets" named after particular wine or grape varieties. It is so large that tourists have been known to get lost, and the runners were issued with a map before the race.